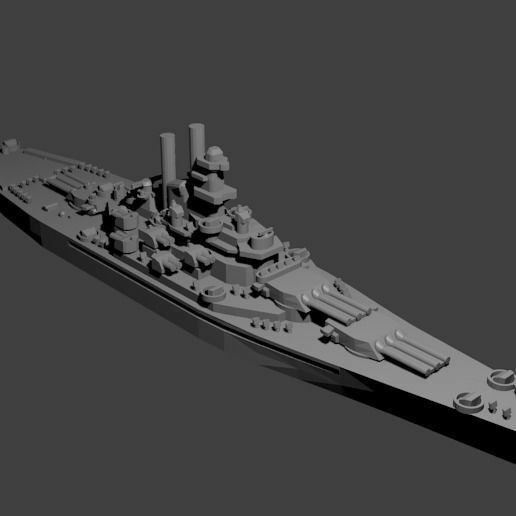 1/1800th scale Farragut Class Destroyer model. Certain elements not to scale. The Farragut-class were a group of eight destroyers built for the US Navy during the 1930's. Three were lost during the war. They carried five five-inch guns and eight torpedo tubes along with some anti-aircraft armament. They were later refit to remove one five-inch gun in favor of additional anit-aircraft guns.